Roscosmos has selected eight candidates to begin training at the Yuri Gagarin Cosmonaut Training Center. Below are their biographies. He was born on 14.08.1984 in the city of Smolensk. Marital status: married, no children. June 27, 2005 graduated from the Russian Academy of Economics. Plekhanov with the qualification “Bachelor of Economics” in the direction of “Economics”. From September 27, 2006 to December 3, 2007, he studied at Warwick University (Cowen-three, UK). After graduation, he was awarded the “Master of Science” qualification in the direction “Operations Research and Systems Analysis”. In June 2018, I completed my studies at the MAI on the Master Program “Life Support Systems for Aircraft” (2016-2018), with the qualification “Master” in the direction of “Aircraft Building”. 01/09/2014-n. at. – the head on introduction of innovations in LLC “Ferronordic Mashiny”, Khimki. Military service in the army did not pass. Russia’s open call for prospective cosmonauts has produced only 200 applications since the process began on March 14, Tass reports. Russia’s state corporation Roscosmos and the cosmonauts training center declared a contest for admission to the team of space explorers on March 14. Each applicant is expected to present a voluminous package of documents, including questionnaires, identification papers, a copy of the work record booklet, a certificate of good conduct confirming there is no history of a criminal record, a security clearance certificate allowing access to state secrets and a pile of medical certificates. Given the volume of documents required, officials expect many of the applications will be filed during the last month of the call. The deadline for applications is July 14. Six to eight new cosmonauts will be selected. 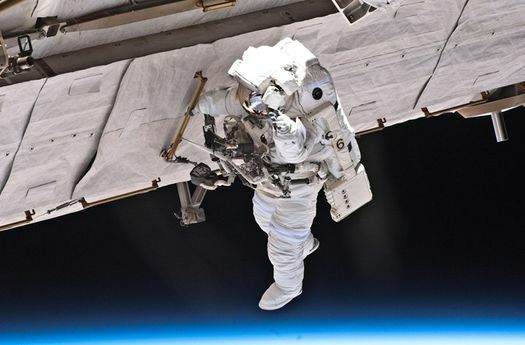 Last year, NASA received more than 18,300 applications in its call for astronaut candidates. Canada received 3,772 applications for its selection process. On Monday, Russian space officials named six new cosmonauts out of a group of eight candidates selected for training in the fall of 2012. 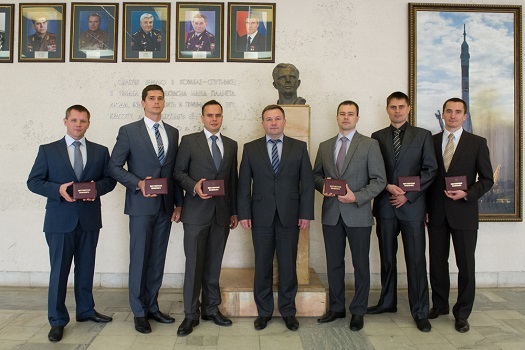 The new cosmonaut trainees are Oleg Blinov, Nicholai Chubu, Peter Dubrov, Andrey Fedyaev, Sergey Korsakov and Dmitry Petelin. Two candidates selected in 2012 — Ignat Ignatov and Anna Y. Kikin — were not on the list of those selected. The original eight candidates were chosen from 304 applications in Roscosmos’ first open call for cosmonauts. 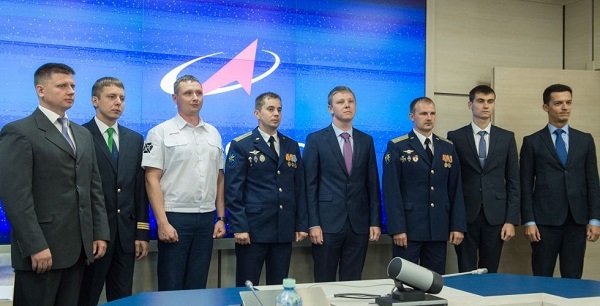 The six men will now go through formal training for spaceflights and be assigned to crews. Born in 1978 in the village of Kirov-Chepetsk Tatars region Kirov region. In 1998, he graduated from the Kirov Military Aviation Technical School on “Technical maintenance of aircraft and engines.” Graduated with honors. In 2001 he graduated from the Vyatka State Agricultural Academy, specialty – mechanical engineer. Previous job: FGBU “Yuri Gagarin Cosmonaut Training Institute.” Chief engineer for operations for EVA. Experience in the aerospace industry for over 10 years. Born in 1984 in Novocherkassk, Rostov region. In 2006 he graduated from the South-Russian State Technical University, specialty – engineer (“Management and Informatics in Technical Systems”). SRSTU graduate student. Has more than 150 parachute jumps, including flights to suit wingsuit (costume-wing). Russian and European record holder in 2011 in the class of large wingsuit-formations. Born in 1978 in the city of Khabarovsk. In 1999 he graduated from the Khabarovsk State University. Born in 1981 in Serov, Sverdlovsk region. In 2004 he graduated from the Krasnodar Military Aviation Institute “Operation of air transport and air traffic control. Born in 1984 in Frunze (Bishkek NV) Kirghizia. 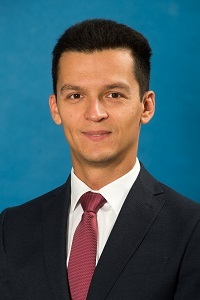 Born in 1983 in Kustanai Kazakhstan. Development engineer third category of department “aircraft design.” Experience in the aviation industry for over six years. Update: UrtheCast says that both cameras are functioning normally. 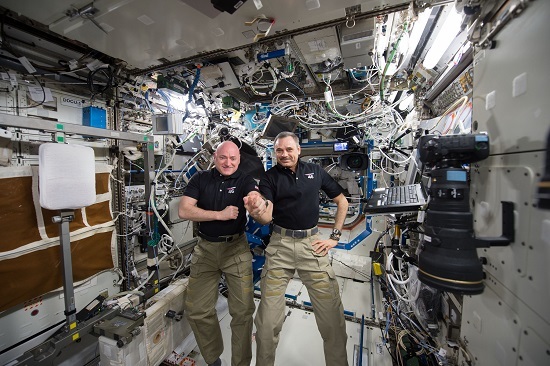 NASA PR — Expedition 38 Commander Oleg Kotov and Flight Engineer Sergey Ryazanskiy closed the hatch to the Pirs docking compartment at 3:08 p.m. EST signaling the end of their six-hour, eight minute spacewalk. 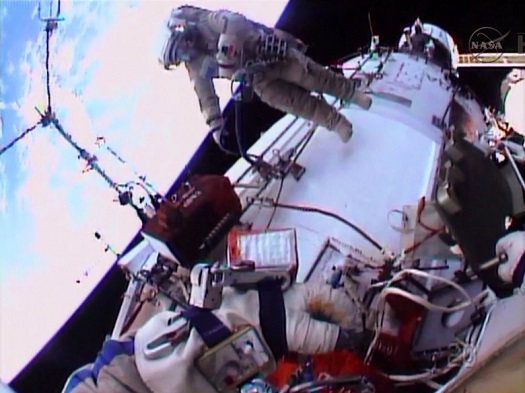 The cosmonauts finished up work that could not be completed during their last spacewalk on Dec. 27. The duo wrapped up the installation of a pair of high fidelity UrtheCast cameras that experienced connectivity issues Dec. 27. Kotov and Ryazanskiy also retrieved scientific gear outside the station’s Russian segment. After exiting Pirs, the duo translated to the Zvezda service module and installed a high resolution camera and a medium resolution camera to capture Earth imagery. However, the medium resolution camera again experienced telemetry issues. 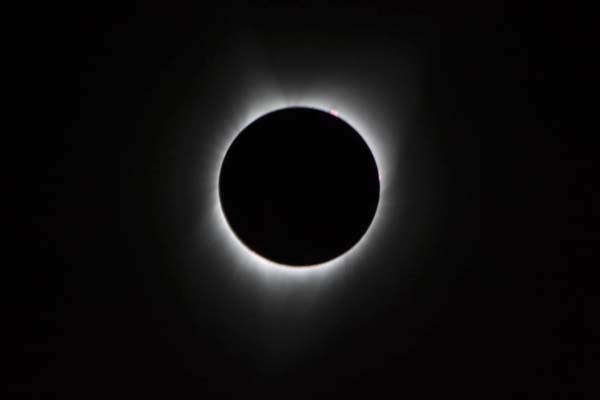 The installation work was part of a commercial agreement between a Canadian firm and the Russian Federal Space Agency to provide Earth views to internet-based subscribers. MOSCOW (Roscosmos PR) — On October 30, a group of eight would-be cosmonauts, formed through an open competition, was taken to Baikonur to see the launch of the International Space Station cargo vehicle Progress M-17M and the Proton-M rocket, intended for injection into orbit Russian communication satellites Luch-5B and Yamal-300K. For most of the cosmonauts candidates, this was their first trip to the space center, and is part of their general space training program. Born in 1982 in Kremenchuk, Poltava region of Ukraine. Previous job: FSBI SRI “Cosmonaut. Yuri Gagarin. ” Lead Test Engineer for EVA work in the hydro. He has more than 500 hours under water. In the space industry for more than eight years. Born in 1984 in Novosibirsk. She graduated from the Novosibirsk State Academy of Water Transport (with honors). An engineer “Protection in Emergency Situations” (2006), economist-manager in “Economics and Management” (2008). Previous job: OOO “Radio Siberia Altai”. Master of Sports in polyathlon (all-around), and rafting, winner of silver medal “Ski Track of Russia” (2011). Roscosmos has selected eight applicants to go through cosmonaut training, according to a press release issued by the Russian space agency. The new trainees are A.V. Fedyaeva, I.V. Ignatov, S.V. Korsakov, O.V. Blinov, D.A. Petelina, N.A. Chub, P.V. Dubrova, and A. Kikin. The space agency received 304 applications as part of the first ever open call for cosmonauts, Roscosmos said. Fifty-one applicants made it past the first cut, and nine successfully passing a further review. Eight of the nine were selected. During NASA’s most recent call for astronauts, which ended in January, the American space agency received more than 6,300 applications. Roscosmos has decided to extend its first open competition for new cosmonauts to April 30 after only 151 candidates applied, the space agency’s press service reports. The deadline for applications was originally March 15. The result is a marked contrast to NASA’s recent astronaut application process, which was completed in late January. The space agency received 6,372 applications, the second highest in history and about double the normal number for recruitment. The decision to extend the Roscosmos recruitment drive was reached during a meeting on Thursday of the Interagency Commission (IAC) that is overseeing the selection process. Chairman of the Bid Evaluation Committee O. Kotova noted a recent surge in applications as the deadline approached. “Practice shows that it takes a considerable amount of time for applicants to collect the required documents, to meet certain terms and conditions of the competition. We assume that the number of people willing to devote himself to space activities has increased,” Kotova said. Both NASA and Roscosmos are moving ahead with the recruitment of new astronauts and cosmonauts for missions into Earth orbit and beyond. NASA’s most recent call resulted in 6,372 applications, which the space agency says is twice as many as normal and the second highest number ever received. In 1978, more than 8,000 people applied as NASA geared up for the space shuttle era. On Oct. 12, Interagency Board chaired by Roscosmos Head Anatoly Perminov qualified Oleg Artemiev as test cosmonaut of RSC-Energia.Â The Board also recommended to appoint Alexey Khomenchuk (GCTC), Denis Matveev (GCTC), Sergey Prokopiev (Aviation Corps) as cosmonaut candidates, and ordered GCTC to arrange their spaceflight training as test cosmonauts. 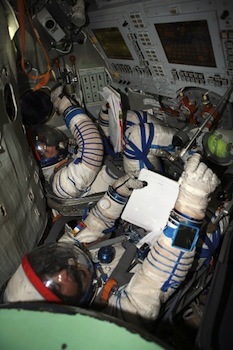 RSC-Energiaâ€™s Sviatoslav Morozov and Ivan Vagner are also planned to go through the training as cosmonaut candidates.